Connect to computer's USB port for file transfer (USB Cable not included). A Micro SD Card is required (not included). 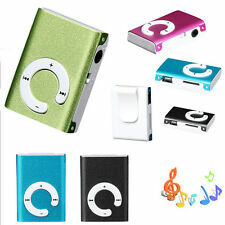 Supports 128MB to 8GB Micro SD/TF Card For MP3 Player (not included). 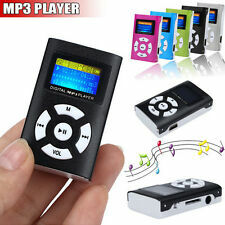 Mini MP3 Player. Plays mp3 music. Simply copy/paste the mp3 files from your PC to the MP3 player and you are ready to go. NOTE:Just MP3 Player ONly,Not Included Earphone,USB Cable! Display: Mini LCD screen. 1 x MP3 Player. 2000 songs and more. 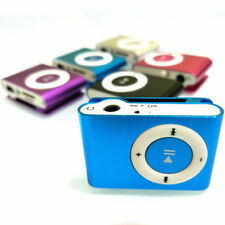 Its preset 8 GB capacity (supports up to 128GB with Micro SD Card, not included) allows you enjoying music up to 4000. Lossless music playing. Provide great quality sound for the array of music and convenient to download (Support MP3, APE, and FLAC WMA etc.) And you can add bookmark for your music files (including audio book it supports). Screen Type: OLED. Other Interface: Mini USB / TF slots. Max Extended Capacity: 32GB. Other Features: IC tpye: ht2836; Version: V1.00, with torch. Shade Of Color: Silver. Audio Compression Format: MP3. (E.g. you bought wrong model or wrong color). Lccal pick up is available. Plays mp3 music. Simply copy/paste the mp3 files from your PC to the MP3 player and you are ready to go. Display: Mini LCD screen. NOTE:Just MP3 Player ONly,Not Included Earphone,USB Cable! 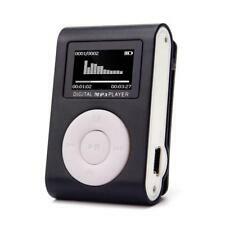 1 x MP3 Player. External Memory: Support up to 32GB Micor SD (TF) card ( Not Included) Support for multiple MP3 music format of digital music play. 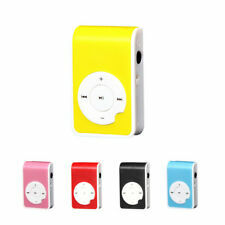 Can make mobile flash disk, MP3 songs or anytime and anywhere storage data. Can also be used as Micro-SD / TF card reader. Play MP3 music. Just copy / paste the MP3 files from your PC to the MP3 player and you're ready to go. 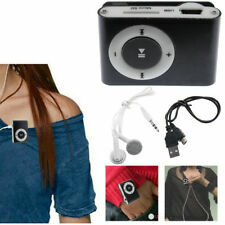 NOTE: MP3 player only, not only including headphones, USB cable! Plays mp3 music. Simply copy/paste the mp3 files from your PC to the MP3 player and you are ready to go. 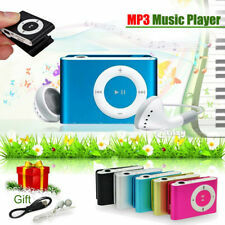 Our products only include MP3 Player, not including accessories. Display: Mini LCD screen. Can also be used as a Micro SD/TF card reader.